Couture season is here again, and I am excited to see what the atelier’s of Paris have created for the for the runways this season. Sadly, I am not in Paris so I was unable to attend the shows this season. However I am enjoying looking though the endless photos of creations from the runways. One of my favorite designers, Elie Saab, didn’t disappoint this season with beautiful pieces adorned with heavy beadwork and embroidery. 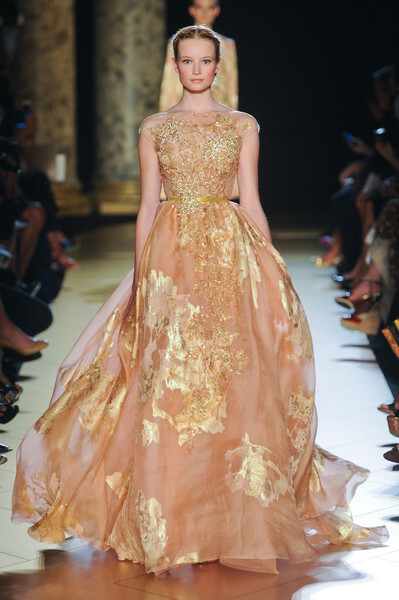 The Lebanese designer used Ottoman motifs this season to create imaginative, beautiful designs. Black gowns created with tulle and lace opened the show, glistening with pearls and sequins under the stage lights. The designer also strayed from his usual pastel color palate to show the most beautiful indicolite blue colored gowns. With all of the embroidery and sparkling beadwork, these dresses were spectacular “gemstone like” creations. Elie Saab showed a lot of pastel and muted colored pieces, not straying too far from his usual color palette. 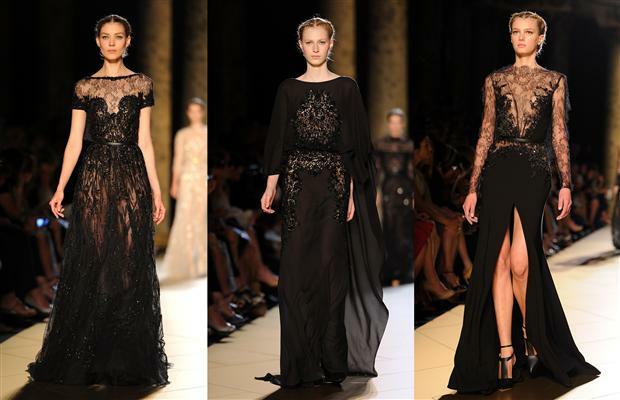 You always seem to know what you are going to get with Elie Saab, and that is not a bad thing. He will always show beautiful, feminine pieces with sparkling embroideries. The embroidery in Saab’s designs are perhaps some of the most beautiful, delicate pieces of work that I have ever seen. In an interview, Saab stated that because of their intricate beads, sequins and embroidery, it takes about six months for his atelier to create an elaborate wedding gown such as the full-skirted one that closed the show. 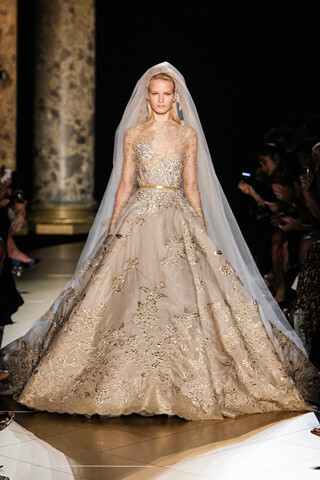 Elie Saab was definitely one of my favorites, as well. So gorgeous!